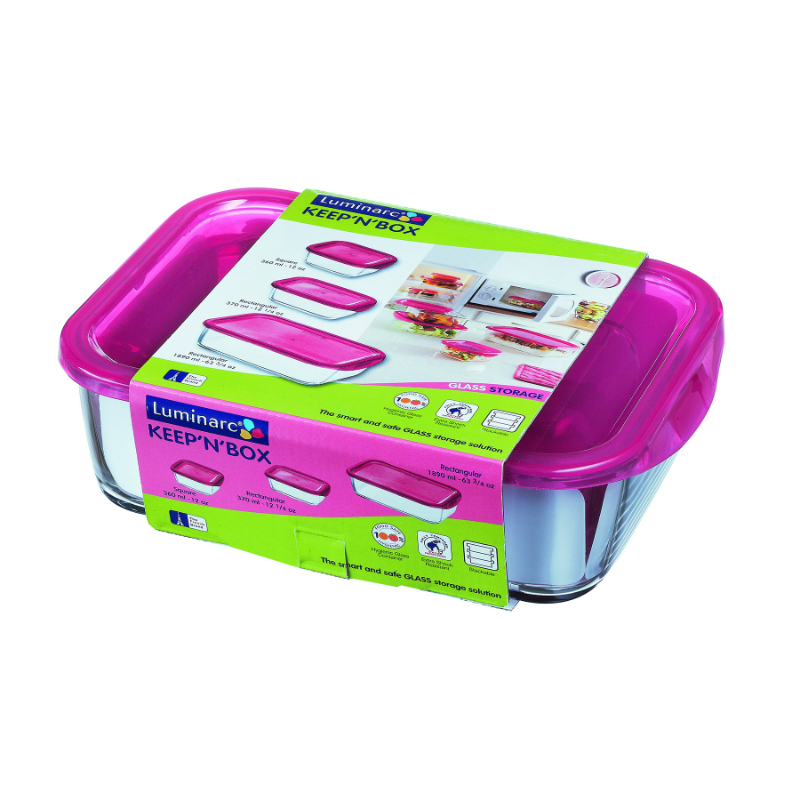 Luminarc Keep n' Box 3 PC Set w/Raspberry Lids. Set consists of: 1 ea. 63.75 oz Rectangular 8 1/2" x 6" inside. 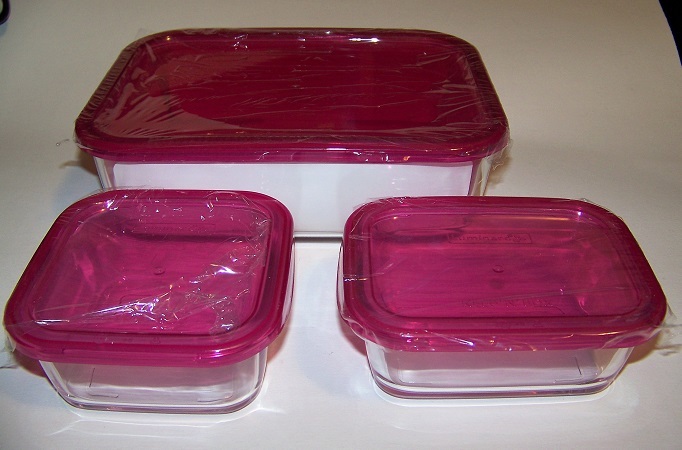 Lids snap close, but do not seal watertight. Glass storage, sanitary, will not absorb food odors. BPA free. Stackable. DISCOUNTINUED ITEM BUT WE HAVE 5 AVAILABLE!